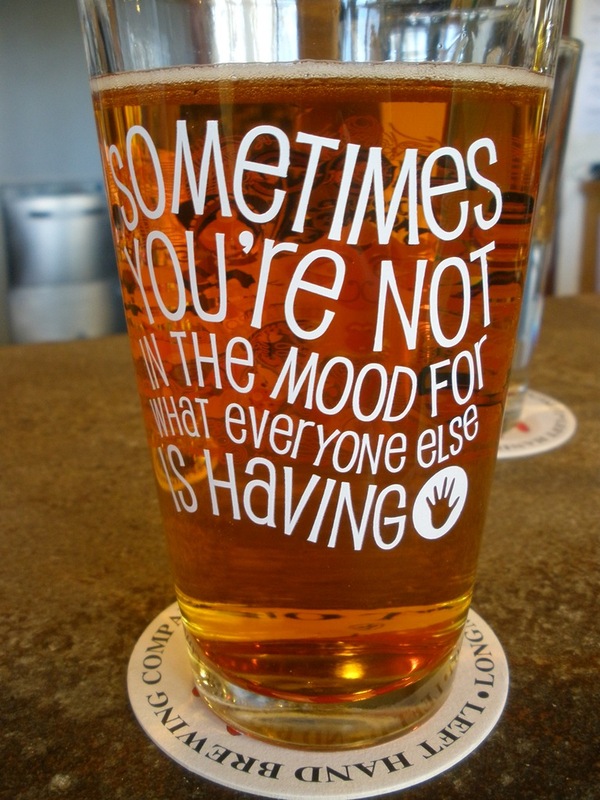 Monday Suds: Left Hand Brewing or A love letter to a brewery. So earlier today I posted some info on one of our favorite breweries. I just wanted a chance to talk about some of the current beers on tap. One of our favorites is the Oktoberfest which was released yesterday. It should be out in stores in the next few weeks for the rest of the world to enjoy. This was also the beer that was making it’s way through the bottling line today. It is traditional and warm, almost too much for a mid summer drink, but worth the pint in the AC. One thing you can say about Left Hand is that there isn’t a bad beer on tap. This seems like an exaggeration but I promise you, it isn’t. 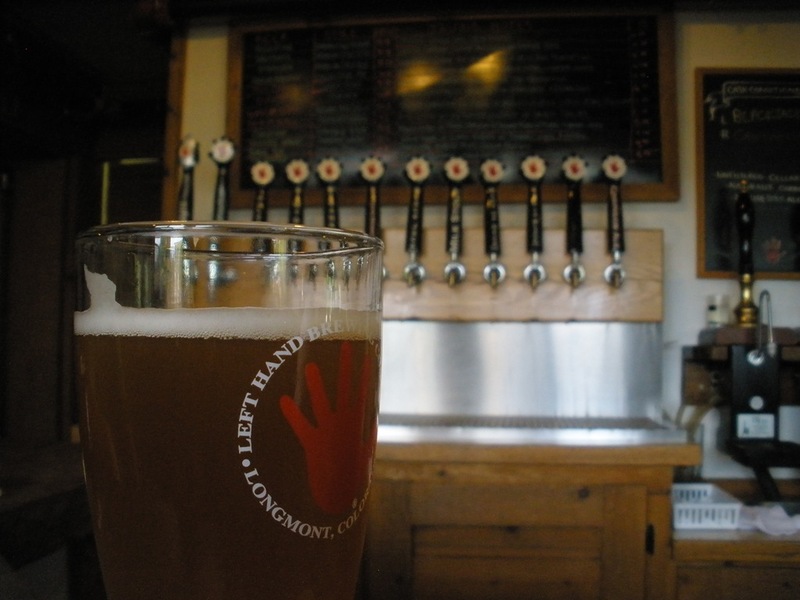 When we describe Left Hand to others, we let them know that while every beer on tap may not be your favorite, there isn’t a beer on tap that I wouldn’t drink. Every beer on tap falls in our favorite three for the category. The man that coordinates the magic in the tap room is Josh. He seems to be a jack of all trades and always a smiley face. It is obvious that he loves what he does and wants everyone who spends time in the Left Hand tap room to feel like family! There are some beers on tap (or that used to be) that definitely fall in the favorite category. For me, there will always be a place in my heart for my first hoppy beer, Jackmans. While I can’t find it anymore, the Haystack and Good Juju will definitely keep me content. When I twisted one of our favorite guy’s arm, James said that he had a handful of favorites. 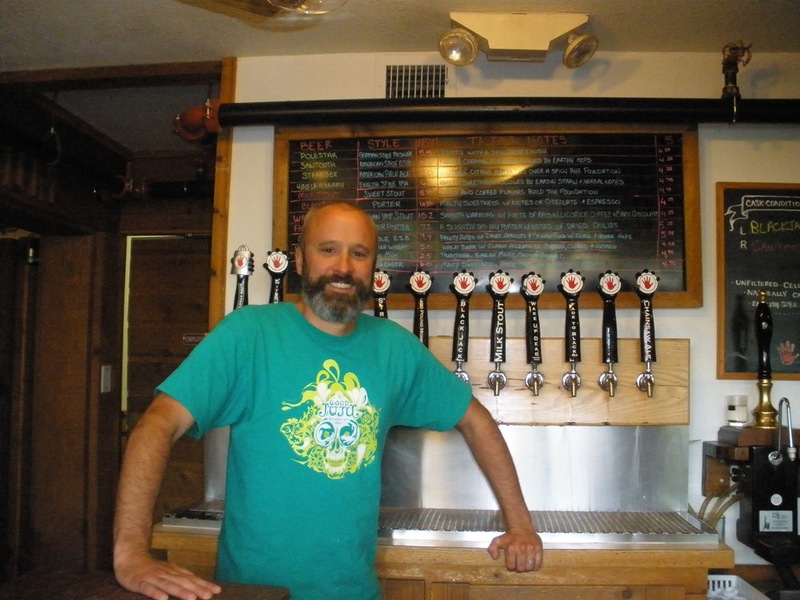 He listed off some classics and some newer beers. James would put Fade to Black V2, 2012 Oktoberfest, Blackjack, Widdershins, Beer Week Sauce, and Jackmans near the top of his list. As you can see, there are too many great beers to pick your favorite. I couldn’t get him to just name one! 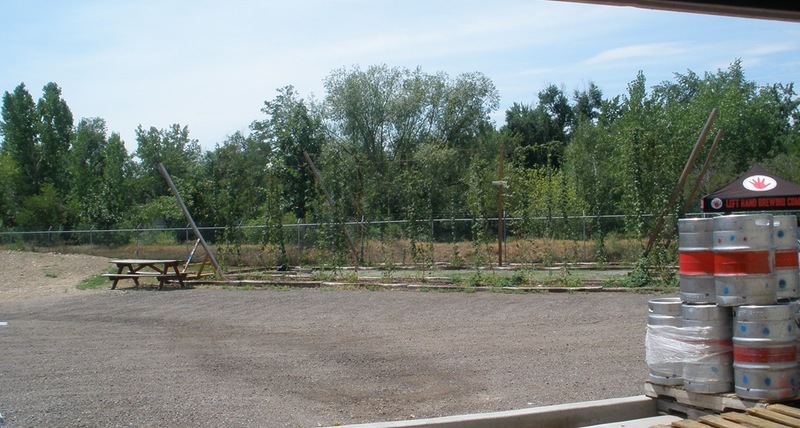 This brewery boasts a hop garden out back. While I am sure many breweries have some kind of hop garden, this one seems to blend in with it’s surroundings. I hope that during the expansion, this is not something that goes by the wayside. It blends in so well with the surroundings and sometimes, if you catch it at the right time, there is a great aroma on the greenway! Speaking of the expansion, Left Hand is definitely experiencing some growing pains. They bought the building across the street, they’ve installed some new tanks in the parking lot and some great things are on the horizon. Hopefully, these expansions mean that it will be much easier to acquire Left Hand beer across the country. We fill our trunk with beer when we head back to Iowa to fill the needs of those who can’t get enough! Here are some tasting notes on my current beer. The Haystack is an unfiltered wheat beer, otherwise known as a Hefeweizen. What makes this beer different is the lovely notes of banana bread. If I were to host a brunch at my house, it would be perfectly acceptable to substitute this beer for mimosas. It is light and refreshing but the slightly spicy notes keep you coming back. This is a great summer beer as you still get the feeling that you are drinking beer without feeling completely weighed down with a heavy, malty beer. Three cheers for Haystack!!! As I close up my review of Left Hand, I realize that this has been more of a love letter than anything else. The staff at Left Hand has made learning about beer amazing. Between the classes and slow days behind the bar, I have learned more than I ever imagines. I can explain the difference beer styles and pouring mechanisms to someone who has never had a proper cask beer before. Thanks to the knowledge and attention to detail by the Left Hand staff, my entire beer experience began! Such a great way to think about things!